Why's Lily-Rose Depp called a new Cara Delevigne? 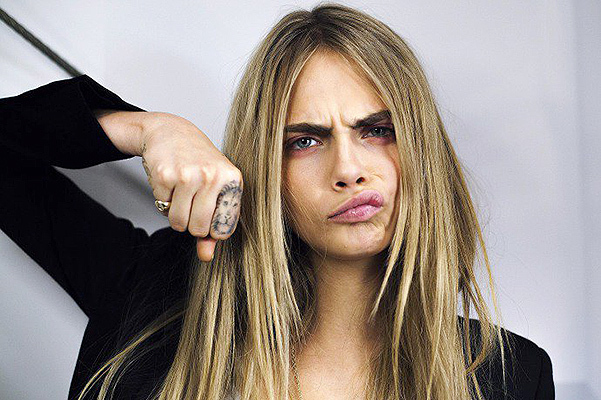 The other day, there was an incident at one of the Paris stations involving a supermodel Cara Delevingne. On the way from the French capital to London, where her sister Poppy celebrated 30th birthday, Cara Delevingne had a meltdown when security officers asked Karl Lagerfeld’s muse to pass a standard procedure for checking luggage. "She was furious, insulted the police and surrounding passengers. Next to her there were at least 20 people, and they were discouraged by her behavior - said one of the witnesses. - According to Cara, she should not have to pass inspection and comply with the safety instructions, because she is well-known, and she should be treated as VIPs. " Neither her companion, nor officers of the law were able to calm her down. The representatives of the law eventually had to write Cara the ticket for disturbing public order. In total, Cara Delevingne was held in the room for about an hour and came out in tears. Fans of the model immediately accused Cara that she was acting as a primadonna, which they did not expect: "She has always been an example for us to follow, but now everything has changed." However, some fans speculated that Cara Delevingne has stopped to control her emotions because of the fact that she started having problems with banned substances. It's no secret that some time ago, the model suffered from depression and to get rid of it, she had to take all kinds of drugs that can affect her mental state.